On this episode of Wrestling 2 the MAX, Sean Garmer and Gary Vaughan are back, and this time they promise to keep a schedule going forward. They begin talking about WWE going against the grain on the Evolution PPV, Becky Lynch’s heel turn, and Braun Strowman’s recent turn as well. Next, they get into the wrestling news by discussing Neville being a free agent, and what his possibilities are going forward. Maria wanting WWE to bring back the Divas Title. The Izzy wrestling controversy, Matt Hardy moving into a producer role, and more. 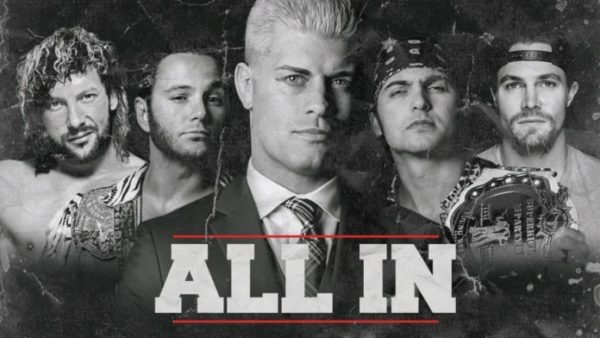 Finally, the two dudes preview and give predictions on the major All In event happening on Saturday night.